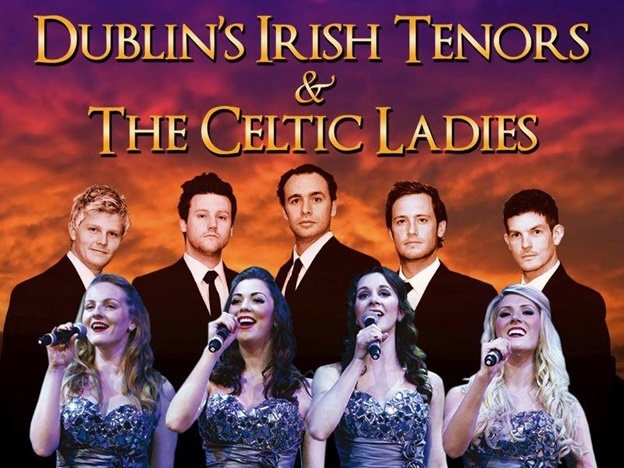 The Dublin Irish Tenors and the Celtic Ladies is one of Branson shows that features five finest tenors and singing ladies from Ireland showing their amazing talent as they sing your favorite Irish songs. With their great looks and outstanding voices, this talented group of finest singers from Ireland performs some of the best music of the 20th century, including famous Irish classics, pop, opera, and swing, entertaining audiences with their captivating performances. Their radiant smiles, melodious harmonies, and youthful image, help make the group performs perfectly with hits such as “Danny Boy,” “You Raise Me Up,” “Cockles and Mussels,” “That’s Life,” “Nessun Dorma,” “Twist and Shout,” “Hey Jude,” and much more. Joining the five tenors are the Celtic Ladies, a group of talented entertainers who performed one of the most popular acts from Prince Edward Island. The ladies are sure to delight the hearts of those who see them perform, making them appreciate their talent, energy, charming personalities, and stage presence. These amazing ladies bring an excellent mix of traditional Irish tunes, classical music, and contemporary songs that guarantee to titillate the audience. With their high-energy step-dancing and lively songs, the Celtic Ladies amazingly combine Irish elements of music and dance to make astounding act with songs including “Scarborough Fair,” “Ticket to Ride,” and many more. The wonderful voices of Dublin Irish Tenors & The Celtic Ladies are as rich as Irish Cream. The two groups have become one of the most popular Branson shows in many years. Their brilliant performances along with melodious harmonies and scintillating tunes, they are sure to amaze you with their breathtaking musical journey covering Irish classics, pop, opera, and jazz music. The beautifully blended Irish melodies that the group performs on stage are sure to give you awesome night of infectious fun and pure magic. Their unique blend of traditional folk ballads with classical and contemporary music will appeal to all ages. These two superb Irish groups will astound Branson audiences with their stunning performances you won’t forget. With their polished performances blended with Irish charm, these groups will captivate your heart as they whisk you away to the Emerald Isle. When you hear them sing, you will be fascinated by their charm, their harmonious melody, and their skillfully choreographed dancing acts. Dublin Irish Tenors and the Celtic Ladies have become one of the most popular Branson shows for many years. With the perfect harmony of their music, you will be amazed as they take you on a breathtaking musical journey covering some of the best music of the past six decades. Their unique blend of traditional folk ballads will appeal to audience of all ages. Watch the two groups perform for an amazing Branson show at King’s Castle Theater as they give you wholesome fun with their electrifying Irish music you love. So, if you want to enjoy a melodious mix of traditional Irish music and classic songs, watch Dublin Irish Tenors and the Celtic Ladies perform at King’s Castle Theater in Branson.